Fosmon Xbox One/One X/One S Dual Controller Charger — Deals from SaveaLoonie! [XBOX ONE CONTROLLER CHARGER] Say goodbye to AA batteries! 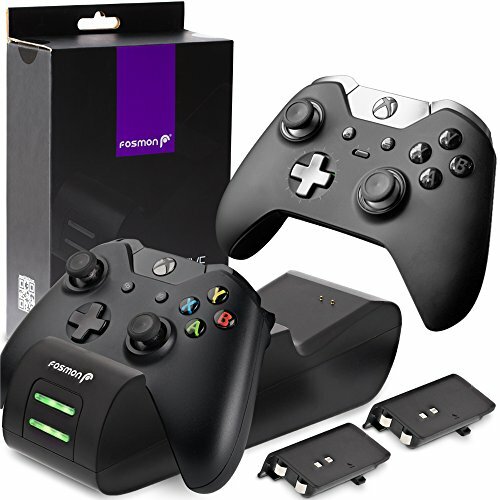 With Fosmon's Xbox One controller charger you will no longer need to keep buying batteries for your controller. [COMPATIBLE WITH XBOX ONE / ONE ELITE / ONE S / ONE X CONTROLLERS] This controller charging station works for Xbox One / One S / One X controllers. [LONGER BATTERY LIFE] Fosmon's Xbox One controller charging station's 1000mah NiMH battery packs provide up to 30-33 hours of play time.